It works….are you doing it? Culture Forum North was launched with a symposium that brought together over 160 delegates from more than 120 cultural organisations and higher education institutions to share knowledge, ideas and ambitions. 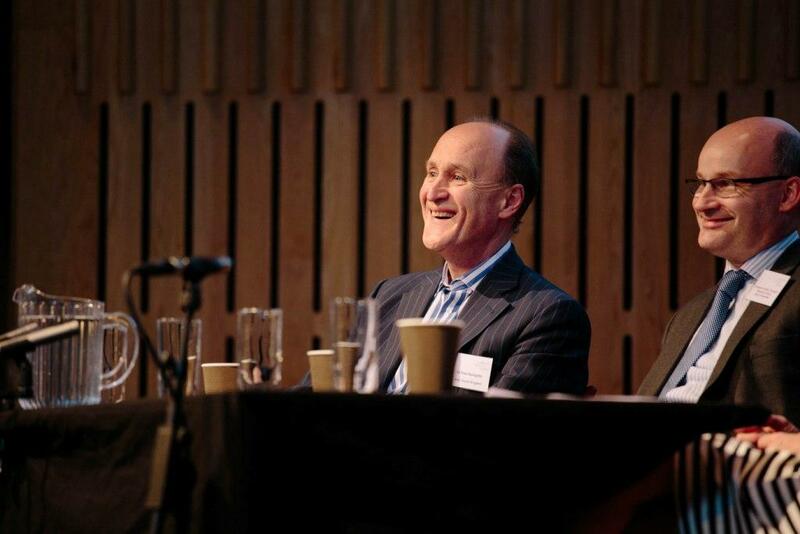 A welcome from Forum Chair Alistair Hudson was followed by keynote speeches from Sir Peter Bazalgette, Chair, Arts Council England; Professor Andrew Thompson, Chief Executive, Arts & Humanities Research Council; and Pat Connor, Head of Development and Events, BBC. A lively panel discussion chaired by Arts Council Director of Resilience Jane Tarr had keynote speakers responding to delegate’s questions and challenges, and eighteen workshops and discussion groups allowed participants to share experience and ideas on relevant topics and issues on the themes of research, sector skills and public engagement. Stand up poet Kate Fox captured the moment. who is telling the future story? mixing in a giant Northern blender. but with fewer potentially dodgy Sun headlines. their economic and educational and economic revenue. a call and response for partners’ needs. rich cultural experiences and- a good time. to increase diversity of voices. with a riveting read of a research plan. for investment in creativity undertaking. What place can research play? 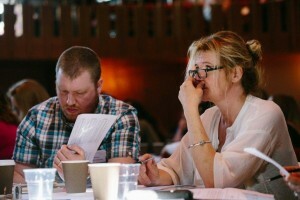 How can in add to what cultural organisations do? the research journey’s not one-way. be allowed a part to play? using new partnerships to step up the pace. showcased the fruits of their programming partnerships. and everyone’s going Bottoms Up for the Bard. for more partnerships and relationships. meeting people face to face. it looks to the future, to what’s to come. becoming more than the parts of the sum. can they crack each other’s codes? and meet at newly created nodes. when there’s less money for taking chances? Offend the Daily Mail! Make the new mainstream! Even small organisations can welcome new romances. How can we get business on board? to inspire with their sense of civic responsibility. How can overlooked towns get a voice? are the ones with all the clout? with loads already on your plate? How important are shared values? in which fewer students pursue creative careers? How far is this both a challenge and an opportunity? Are our sectors aims actually the same? How do you find the right people to speak to? Could there be a University Partnerships Open Day? how did you identify it in the first place in communities or in schools? before we start breaking all the rules? and can it even afford to get there? the breadth of students you are reaching? How do you find the right match? is it really the best way? Are leaders up for it? How do we find that open door? from the plot of Game of Thrones? or do you need agreements which are more robust and tough. Can’t a University partner with a cultural consortium to access Euro cash? How does the cultural sector get a voice in the Northern Powerhouse? Does it require us to use the language of the economic agenda? Could artists voices be added productively into the Babel’s blender? Should practitioners be bigger self starters? Can there be too many networks in a city? and if we’re not isn’t that a pity? scale up and scale down the collaborations? to be part of the talking some future day. risk a boogie in the Cultural Forum North dancehall. like a pasty needs Greggs. which haven’t been thought of yet. offering more, not less, when the climate is tough.